Vanderbilt physicists have been working at Fermilab since the mid-1970s. They were major players in a series of charm photoproduction experiments that used the wide-band photon beam. Our current physics efforts use data from the CMS experiment to search for new physics such as supersymmetry and exotica. 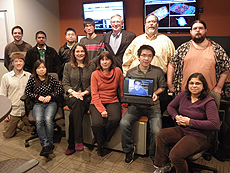 The group led the development of a campus-wide shared computing facility at Vanderbilt, which now serves as the Tier 2 computing facility for the heavy-ion program of CMS. The particle theorists at Vanderbilt work on models for dark energy and dark matter, neutrino physics and astrophysics, models for ultra-high-energy cosmic rays, indirect dark matter detection signatures, LHC modeling BSM, topological modeling of glueballs and aspects of black holes. WHAT SETS PARTICLE PHYSICS AT VANDERBILT UNIVERSITY APART? Our major asset is diversity: in physics interests, technical expertise, gender and ethnicity. Vanderbilt has a strong heavy-ion group that plays a leading role in studies of the quark-gluon plasma at CMS. The synergy between particle and nuclear physics gives us a strong presence in all aspects of the CMS experiment: physics, hardware and computing. The CMS high-energy nuclear and particle physicists at the CMS center at Vanderbilt. We hold the record for the number of female faculty and post-docs in our department (in fact, one female postdoc is missing from the picture). 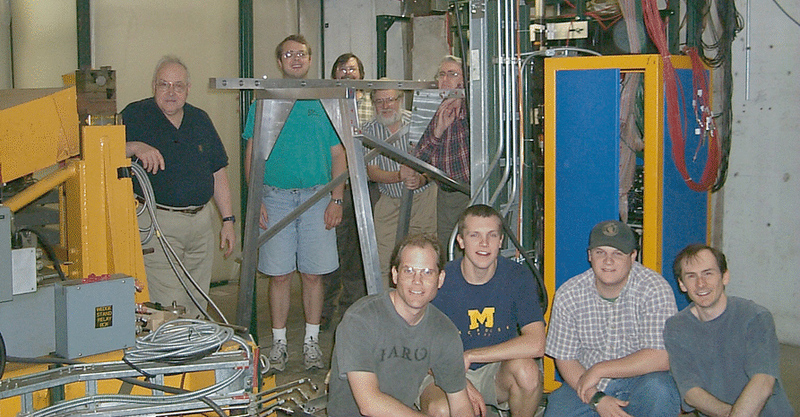 The Vanderbilt HEP group performs a beam test at Fermilab for the muon detector of BTeV in 1999.